Enhance your outgoing email with innovative Signatures, Disclaimers and Marketing banners. A complete list of software extensions, utilities and add-ons for Microsoft Exchange servers. Centrally manage users’ email signatures and disclaimers sent from Outlook, Office 365 or Outlook Web App. The signature is at first composed in WYSIWYG template editor supporting HTML, RTF and plain text formats and then distributed to the entire network with just one click. The administrator can also choose to automatically remove the signatures created by users on their own, and define the style of fonts in emails. 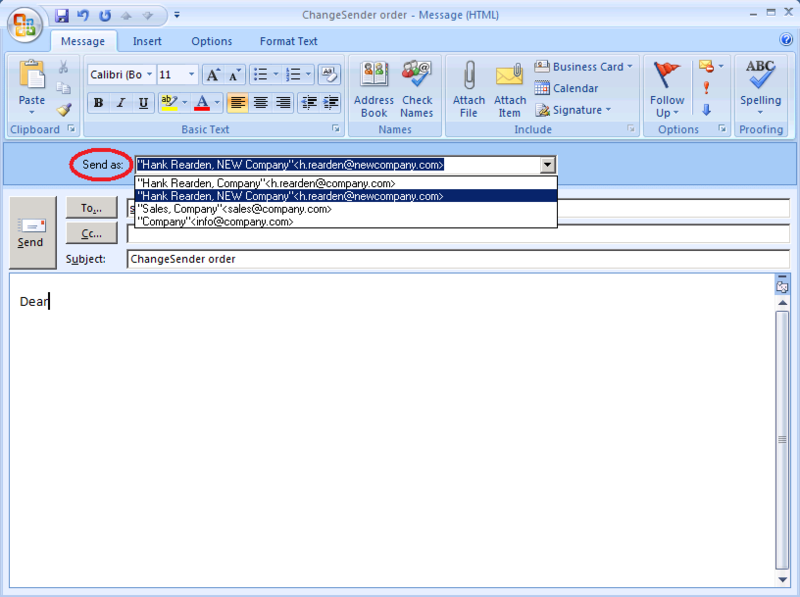 ChangeSender adds one important piece of functionality to Microsoft Outlook when used with Exchange Server: It allows you to choose the sender address your emails are sent from on a mail-by-mail basis. Without ChangeSender, Exchange always sends out emails on your default email address fixed in the ActiveDirectory even when answering emails received on one of your additional email addresses. It’s vital to keep customers and business partners informed when their emails can’t be answered for the time being (for instance due to illness, holiday, training etc.). 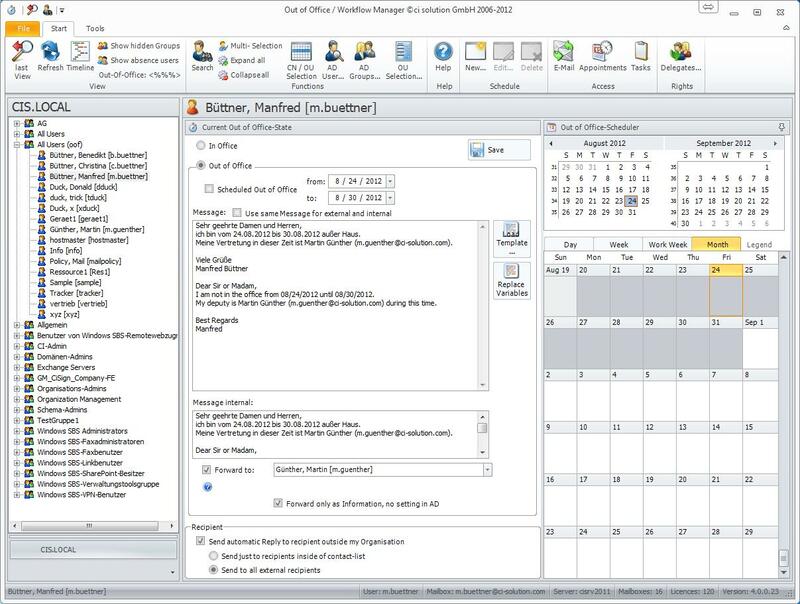 CI Out of Office absence manager enables you to manage absence messages centrally within your organisation. The software allows for certain users, defined in advance (e.g. human resources managers, secretaries, heads of departments) to have absence messages displayed centrally and for appropriate changes to be made.